Americas first 24-karat gold coin! American sculptor James Earle Fraser, once a student of Augustus Saint-Gaudens, for America’s 5-cent coin (nickel). reverse was modeled after "Black Diamond," a popular attraction at the New York Zoological Gardens. in the form of legal tender coins whose content and purity is guaranteed by the United States Government. 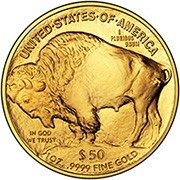 All 24-karat American Buffalo Gold coins are struck at the United States Mint at the West Point. The Internets first website to offer live online precious metals trading! 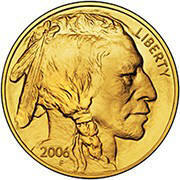 Goldmasters Coins & Precious Metals * Established 1970 * Let our 45 years experience work for you!